composition to display their tables. 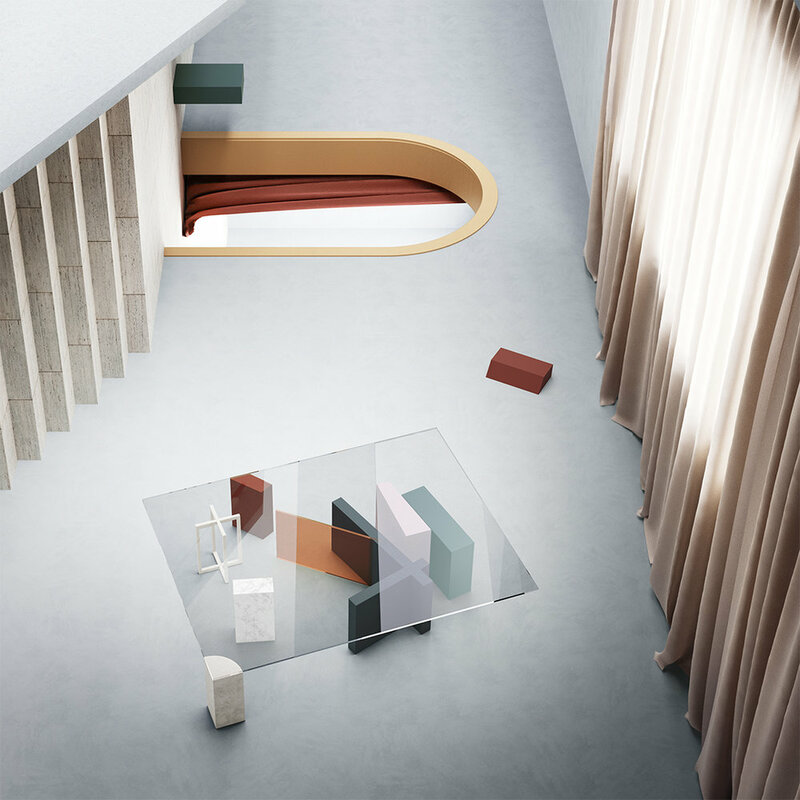 Non-Objective Tables is a furniture collection designed by Atelier Avéus, taking inspiration from the suprematist paintings of the early 20th century. 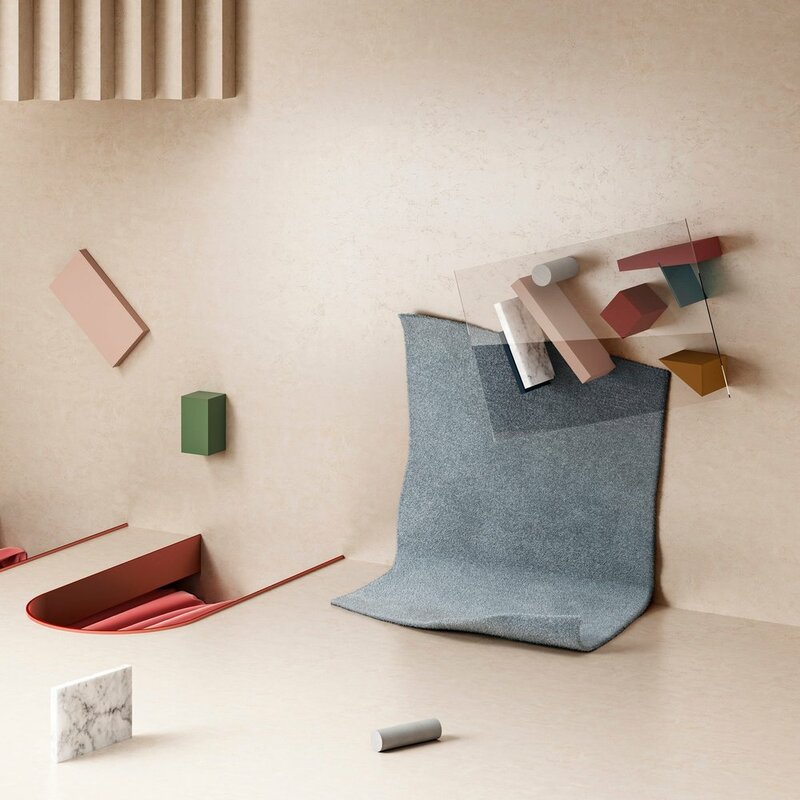 Morgane Roux, the studio’s founder, made each table a unique composition of materials where large shapes of colours are floating free. The pieces are represented into architectural configurations, displaying multiple visuals and gravitational perspectives. 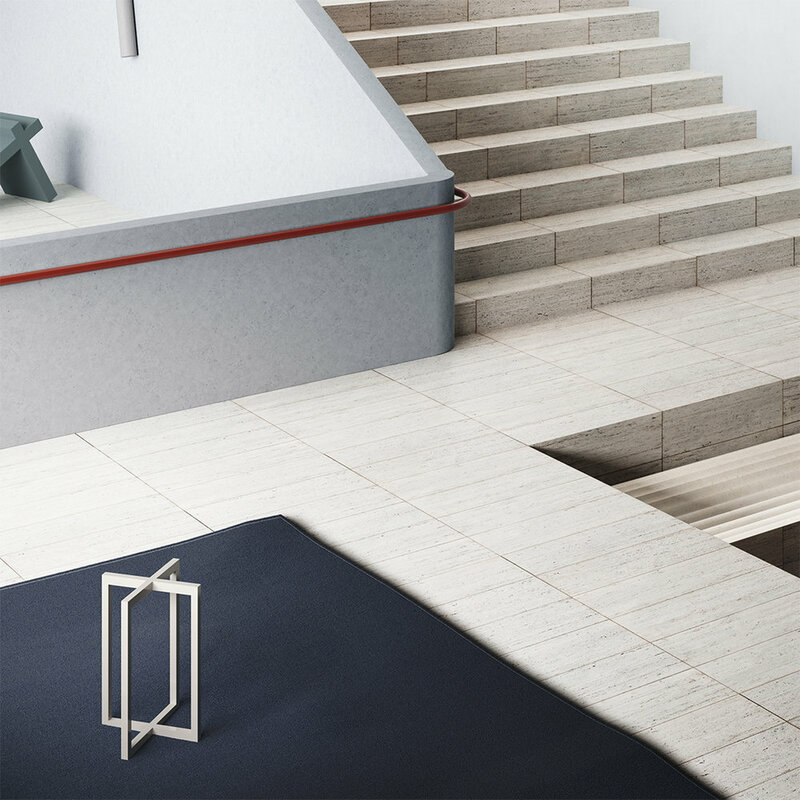 The tables evolve into environments through various dimensions and spacial orientations. 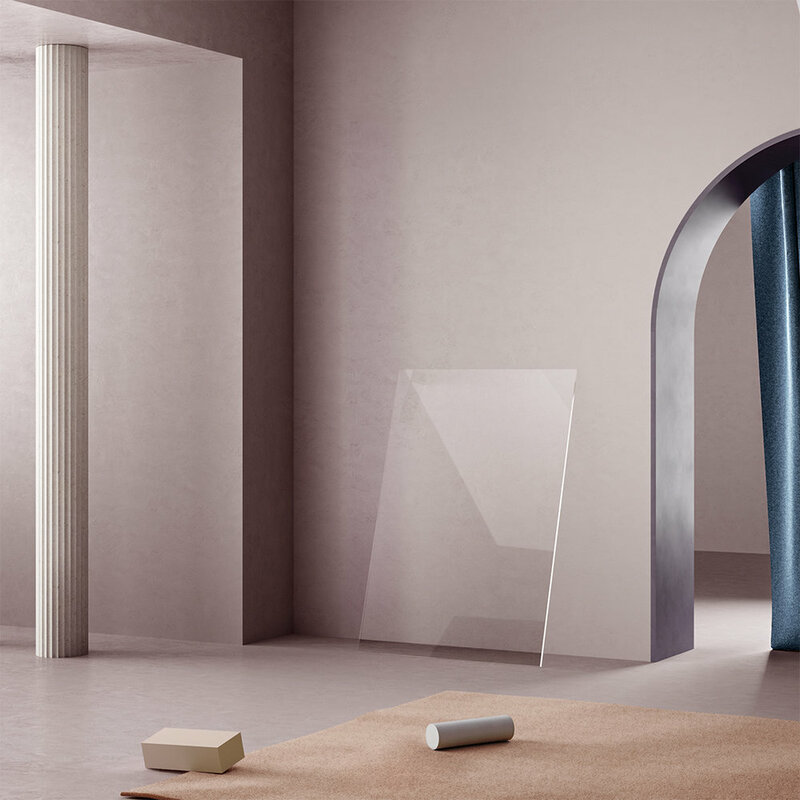 3D Imagery by Atelier Avéus and Massimo Colonna. As for the suprematist paintings, the different elements such as the supporting volumes, the glass, and the different daily-life objects brought by the user, offer a multilayered interpretation of the whole piece. Those layers of colours and shapes, usually flattened in a suprematist painting, can be perceptible individually and through different angles. In those ever-changing visuals and physical compositions, colour acquires materiality, some weight and a trajectory. Atelier Avéus never disappoints! Atelier Avéus is a multidisciplinary design studio based in Lisbon. If you enjoyed this article, you should check our article about 2LG’s Rise Collection.